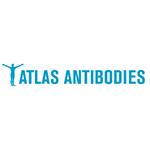 At Atlas Antibodies we have a very clear mission: To provide our customers with advanced research reagents targeting all human proteins. Our portfolio consists of Triple A Polyclonal and PrecisA Monoclonal antibodies and their corresponding PrEST Antigens. As No 1 in IHC Atlas Antibodies, offer the largest portfolio of antibodies validated in immunohistochemistry. At our facilities in Stockholm, Sweden, we carefully design and manufacture the 21,000 Atlas Antibodies Advanced Polyclonals (Triple A Polyclonals), in a way to achieve a high level of specificity, reproducibility and versatility. It is commonly perceived that polyclonal antibodies are best suited for IHC experiments as they target several epitopes and thus have an enhanced sensitivity. With stringent quality control, we secure the performance of the antibodies so that our customers can rely on reproducing their experimental results.